Eric Hartsburg will not soon forget the election of 2012. 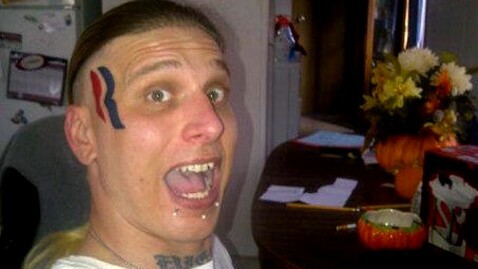 In fact, he will remember it every time he looks in the mirror and sees the Romney logo tattooed on his face. Hartsburg decided to sell a space on his temple on eBay for $15,000. And there is good news for Paul Ryan if he runs in 2016. Hartsburg has decided to put the middle of his forehead up for auction.